Blog Would You Leave Chiropractic If You Were Financially Independent? It’s a tough question that I can’t answer for you but I can tell you that your answer is critical to your success and future in chiropractic. Recently, I had a conversation with a chiropractor who told me that he now owns two practices and is currently starting the search for a third practice. As many of you know we do two things here at Strategic Chiropractor – help docs work smarter growing their practice; and help docs work smarter in transitioning out. So this conversation was a little different because he’s both a doc who is looking to grow his practice (by acquiring practices that are being sold) BUT…he surprised me by stating he was considering these acquisitions as part of his exit strategy. In other words, this super successful doc was also considering getting out! This conversation came right after I had just received an email from one of my superstar clients, who let me know that she had just been named to the “Forty Under Forty” list in her area and whose practice has seen a massive transformation over the last several years as it has gone from six to seven figures in collections. The contrast between these two docs couldn’t be more different, yet they both were making a great money. One is burnt and ready to cash it in. The other is booming and ready to take the business to the next level and focus on increased profitability and lifestyle design. 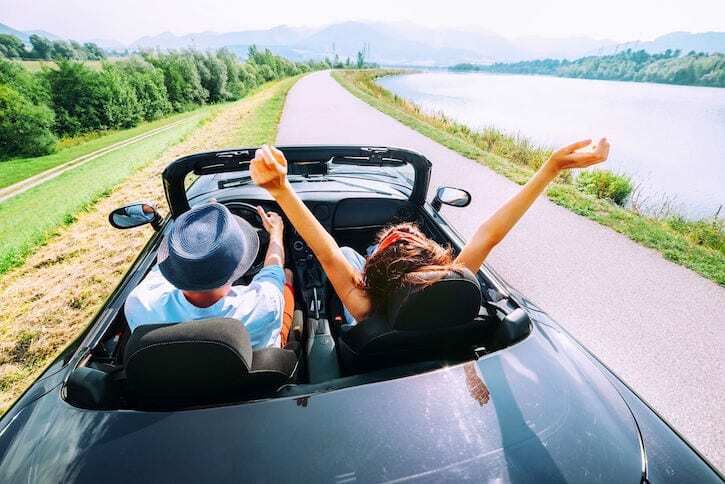 I’m sure this is an obvious conclusion for you, but these two chiropractors illustrate an important point about the fact that your goals for success in practice have to be about more than just money. Don’t get me wrong, I do believe you should have financial goals; I just believe that if money is your only target, you will fall short and feel there is something missing. In other words, what are the goals your practice success can help you achieve – beyond money? A successful practice, in my opinion, is one where you work smarter to go beyond financial success and to achieve significance in other areas of impact and importance in your life, your community and with your time on the planet. Would You Walk Away From Chiropractic If You Could? In other words, if you didn’t have to work because your financial goals were met or needs taken care of, would you still practice chiropractic in some capacity? For me this question is an essential part of your lifestyle design and there is no right answer. Chiropractic is an amazing profession with abundant opportunities. You can love it as something you are passionate about or use it as a vehicle to get to the things in life you’re passionate about. You can take phenomenal care of people AND make a great living. In helping chiropractors, I’ve enjoyed working with chiropractors who plan to continue to practice in some capacity for as long as they physically can. And I’ve worked with those who had clear plans for what their business needed to do that would allow them to fulfill their goals outside of our patient care. Either way, your answer to this question can (and should) fuel a drive for excellence clinically and in business. For reaching for your dreams outside of chiropractic and plotting your goals inside practice. 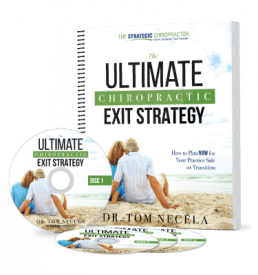 As I mentioned above, the question of “Would You Leave Chiropractic If You Were Financially Independent?” is one that no one can answer other than you. But it’s one that most chiropractors consider from time to time. And it’s definitely a question that is worth wrestling with if you want to engineer a life you love and have your practice be the vehicle that gets you there! So give the question the time it deserves. If your answer shows that you still have fuel in your tank to practice chiropractic, but that your business is a little lacking in helping you achieve your income or personal goals, you still have the opportunity to register for our upcoming FREE WEBINAR: Rise Up where we are going to be discussing How to Build the Practice of Your Dreams In Less Time — Without Killing Yourself. And yes the last part of the title is a critical piece that we often neglect and can easily come to regret. You can have a financially successful practice and be trapped in a prison of your own making because the lifestyle you lead is wearing you out. Others are just killing themselves slowly with too much work and not enough income to show for it. Either way, this webinar will be discussing how we MUST look at our practice from a different perspective to fix these issues and improve our outcomes in terms of money, meaning, freedom and the impact you make. On the other hand, if you’ve answered the question firmly focused on getting out, I suggest you consider our Sell, Switch or Slow Down Webinar: How to Maximize The Value of Your Chiropractic Practice Sale or Transition — before you get too burnt and run your business into the ground! 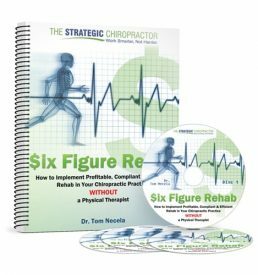 Over 6000 chiropractors have taken this webinar to help them learn or launch their transition or chiropractic practice sale plans — and I’d love to help you get there too. Finally and again, there’s no wrong answer to the question posed at the start. But there is a “bad” answer which is a non-answer or simply ignoring the question as if it does not matter. We’ve got one life to live – time is too short to spend doing things you don’t love, not living up to your true potential or watching goals pass you by. Take action today!